Natalie initially trained and qualified into our Professional Negligence department specialising in claims against solicitors for failing to properly protect the interests of their clients. She was recognised for her work in this area in the Legal 500 which stated "Solicitor Natalie [Thomas] is ‘first class’, and ‘a credit to the profession'". Natalie is now putting her experience of resolving disputes between solicitors and their clients towards preventing them on behalf of Bridge McFarland. Natalie is the Partner in charge of our Risk and Compliance team, which covers issues relating to conduct and regulations, complaints, conflicts of interest, anti-money laundering, client care, internal audit and risk management and negligence. 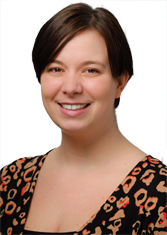 Natalie is also the Firm’s Complaints Partner, Nominated Officer and MLRO and Data Protection Officer. Feedback from Mr M Schofield about Natalie Thomas and Cliff Goddard and his team.